Elsa celebrates spring and her sister's birthday in the 2015 animated short Frozen Fever. Seen here, Elsa exchanges her icy blue dress with an aqua marine dress filled with lilac and white Nordic flowers, and proves she is a sight for all seasons. 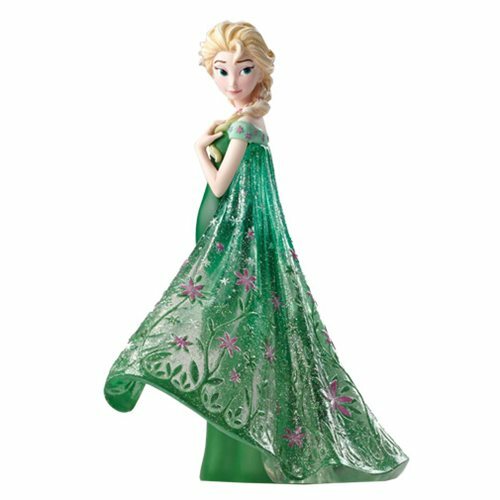 Made of stone resin, this Disney Frozen Fever Elsa Showcase Statue stands 8-inches tall. Ages 13 and up.